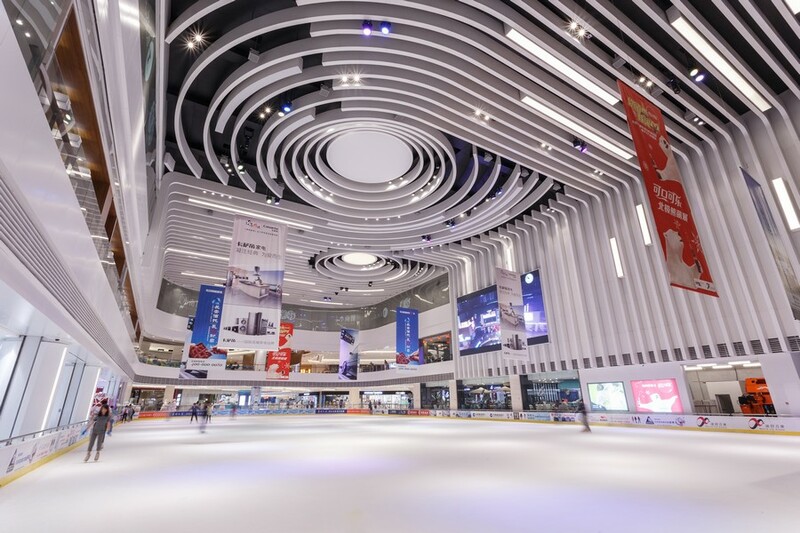 Benoy, the global studio of Architects, Masterplanners, Interior and Graphic Designers, is proud to celebrate the opening of its first MixC Mall in the city of Qingdao, China. 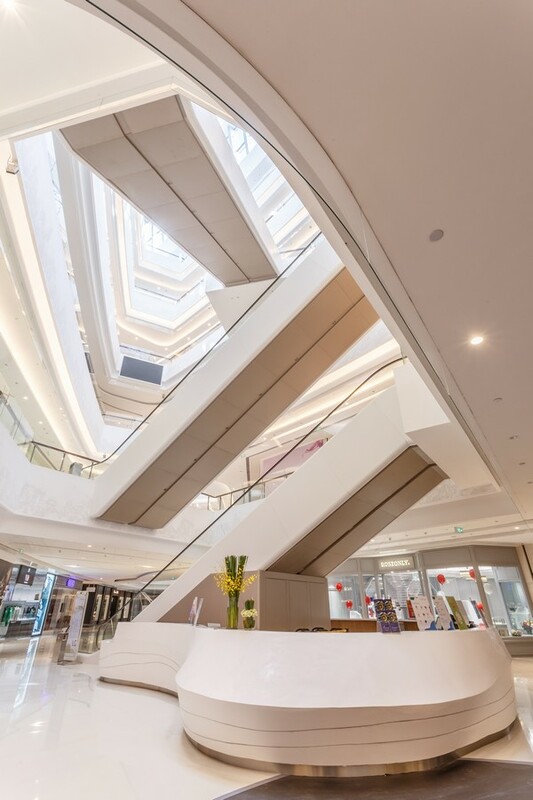 Benoy was appointed by China Resources Land (CRL) as the Interior Designer for the developer’s most significant retail scheme to date. 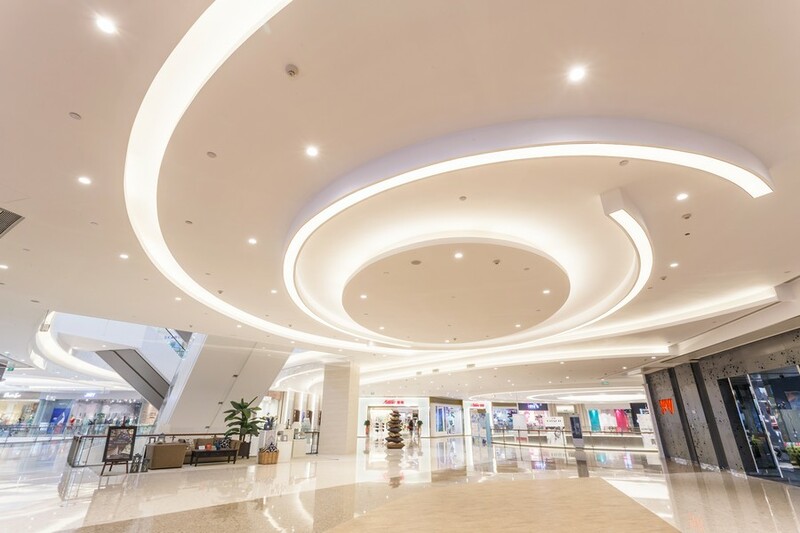 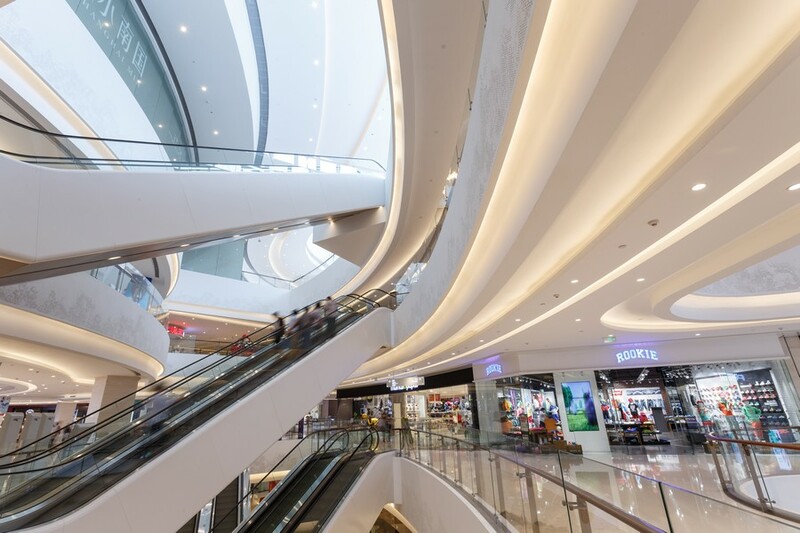 Occupying an area of 450,000sqm, Qingdao’s MixC Mall is the largest of its kind in China; establishing an exciting landmark in the country’s northeast. 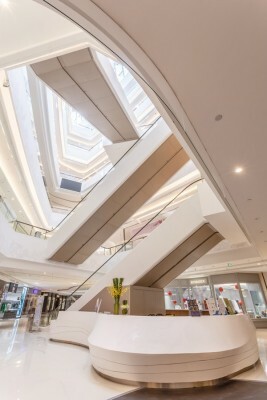 Integrated into the China Resources Centre, the wider mixed-use development is a prominent commercial addition for the city. 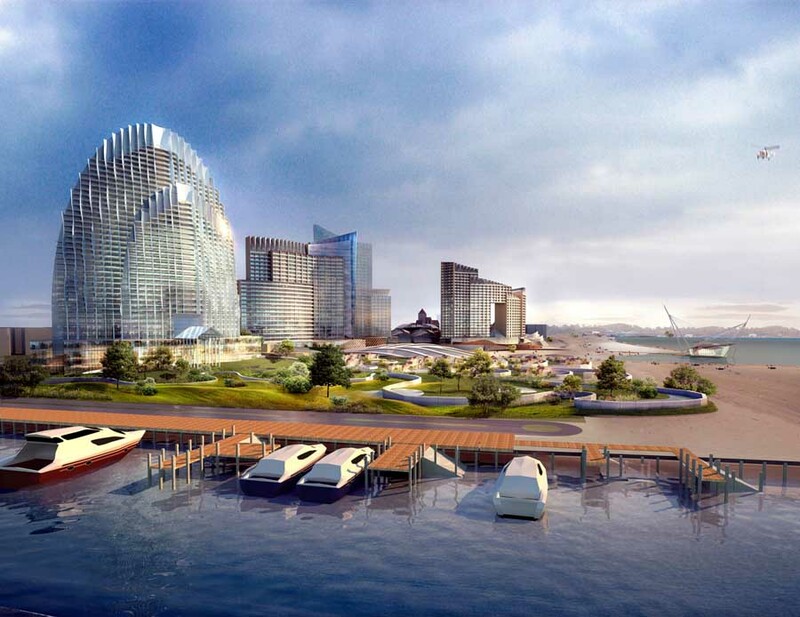 The scheme is also a vital component of the City Crossing development, the major landmark building group in Qingdao. “We are proud to deliver CRL’s new flagship for their high-end retail brand. As the sector continues to evolve, Benoy is excited to be at the forefront of designing the heart of these major mixed-use schemes. MixC Mall in Qingdao is a truly integrated experience which unites Retail and Entertainment for the city,” commented Craig Menzies, Director at Benoy. 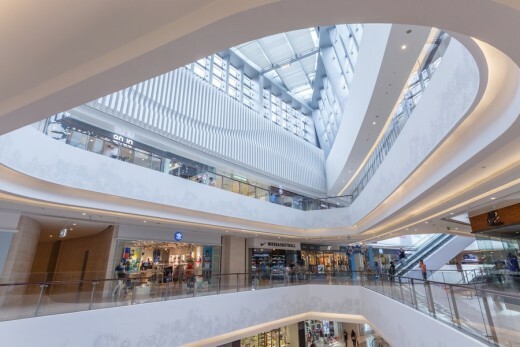 Covering seven levels and three underground levels, the retail-led podium has one of the most extensive programmes for shopping centres in the country; bringing together Retail, Food and Beverage, Entertainment, Education and Culture. 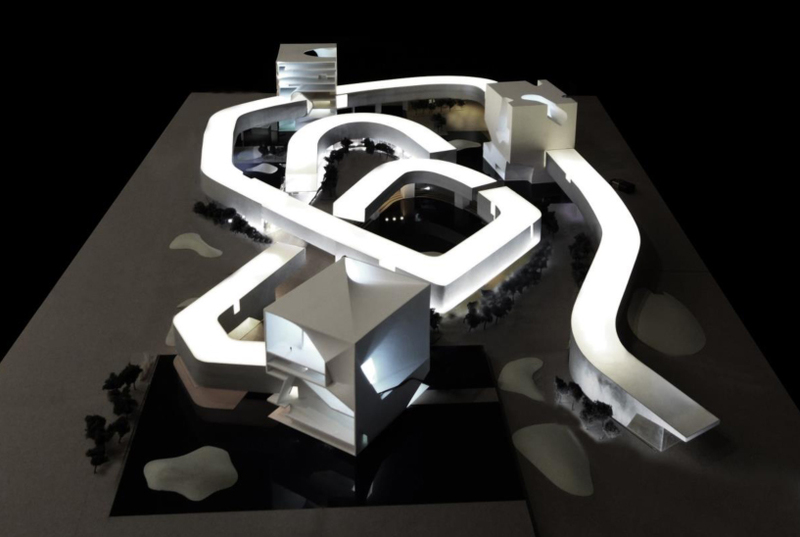 The development features a roof garden and sunken plazas, an Olympic-standard ice skating rink, a dedicated children’s area and the first SEGA indoor theme park in China. 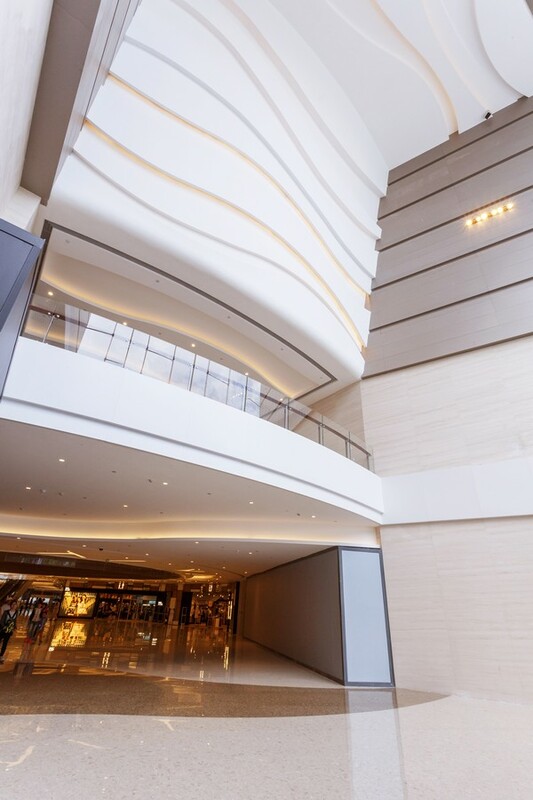 Benoy’s Interior Design drew inspiration from Qingdao’s waterfront landscape with the interior spaces shaped by undulating, wave-like forms. 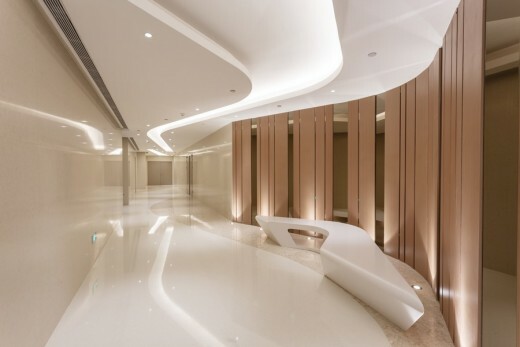 The curved floor pattern, feature ceilings and main atrium have all embodied elements of the ocean to give striking focal points throughout the design. 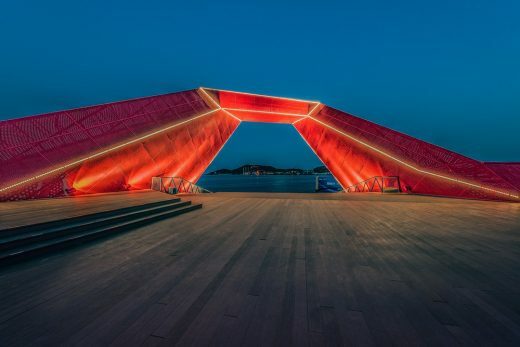 “Qingdao has been described as one of China’s most liveable cities and so our design aimed to connect visitors with the natural landscape. We celebrated the mall’s proximity to the outdoors through the use of natural stone, timbers, skylights and glass curtain walls,” explained Emily WS Wong, Benoy Senior Associate Director and Project Design Leader. 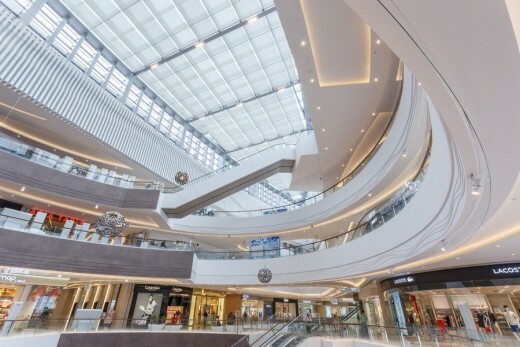 Located in Qingdao’s well-established commercial centre, the scheme provides the benefits of being a Transit Oriented Development, with seamless connectivity to two metro lines. 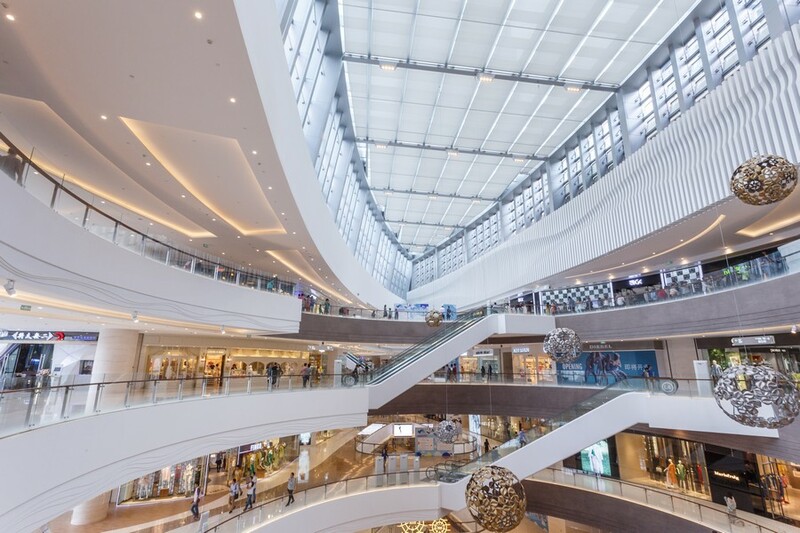 Attracted to the commercial advantages of the scheme’s location and wider integration, over 85% of the development’s retail units were rented by 2013, two years prior to the mall’s opening. MixC Malls are at the top of the CRL retail portfolio. 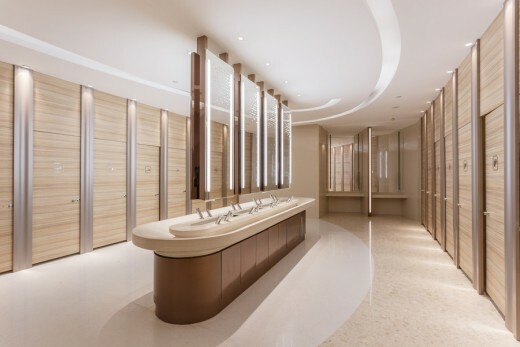 The prestigious schemes are already operating in major cities such as Shenzhen, Chengdu, Hangzhou and Chongqing with Qingdao now the leading development of the series.